Whether the job involves pumping gas into a system at 150,000 psi or injecting liquid chemicals into a tank at a lower pressure flow rate, TECHWEST Williams Chemical Injection can help. We design gas, liquid and chemical injection systems for companies like ...read more. If your industrial operation is looking for a pneumatic driven pump or pump system for your liquid dosing requirements, then you might consider Haskel pumps, from Australia's own TECHWEST Williams Chemical Injection. Haskel pumps provide safe, high pressure ...read more. Does your business or industrial operation have a chemical dosing, liquid pumping or gas pumping need that requires reliable high pressure rates? Does your equipment need to be able to handle pressures of up to 150,000 psi without letting up? Do you have ...read more. If your company is in the process of designing a chemical dosing system for sewage processing and water treatment applications, then you might want to find out more about the Grundfos brand. 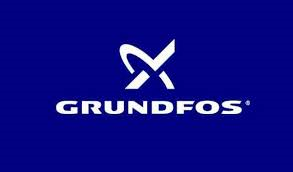 According to the company's website, Grundfos has an annual ...read more. With each day comes a new demand. Your company is ever-expanding, pushing its strategies and solutions toward success - and you work tirelessly to meet all industry benchmarks, redefining your goals with every quarter. Time, therefore, proves elusive. You ...read more. In 1954 Haskel - a subsidiary of Accudyne Industries, one of the world’s premier petrochemical processors - redefined the market, launching its dry-running hydraulic gas booster. This option (the first of its kind) established the company as a leading ...read more. If you’re thinking about having a high-pressure gas system installed in Perth, you're talking about a serious piece of business. Many essential industries require high-pressure gas systems in Perth, including Mining, Defense, Oil and Gas, and Government ...read more. If you need a high-pressure liquid system for your Perth business, you'll want to hire only the most competent people to install it. After all, this isn't equipment you can just buy off a shelf somewhere, and it's not an investment you should take lightly ...read more. Power units are a must for many businesses, but did you know that they come in different varieties? Depending on your business, one may suit you considerably better than another. To be specific: when you're in the market for one of these products, you may be ...read more. No question about it: pneumatic pressure test units for Perth businesses of many kinds are essential. These products are widely used in the Automotive, Oil & Gas, Defense and Aerospace industries, as well as lower-key but no less valuable sectors of the ...read more. If you work in the Oil & Gas, Petrochemical, Power Generation, Automotive, Paper, Defense, Aerospace, Ship Building or Food industries, then the chances are that your business is going to need a test pac at some point or another. Test pacs are ...read more.